1 x 20amp AC mains breaker. Includes reverse polarity indicator. 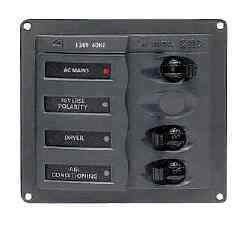 Circuit breaker ratings indicated are for 230V and are adjusted if 110V is requested.